The glute is made up of 3 muscles glute maximus, medius, and minimus. The main action of the glute maximus is hip extension and external rotation. The glute medius acts as a hip abductor with anterior fibers assisting internal rotation while the posterior fibers aid in external rotation. The glute minimus is responsible for hip abduction and internal rotation. 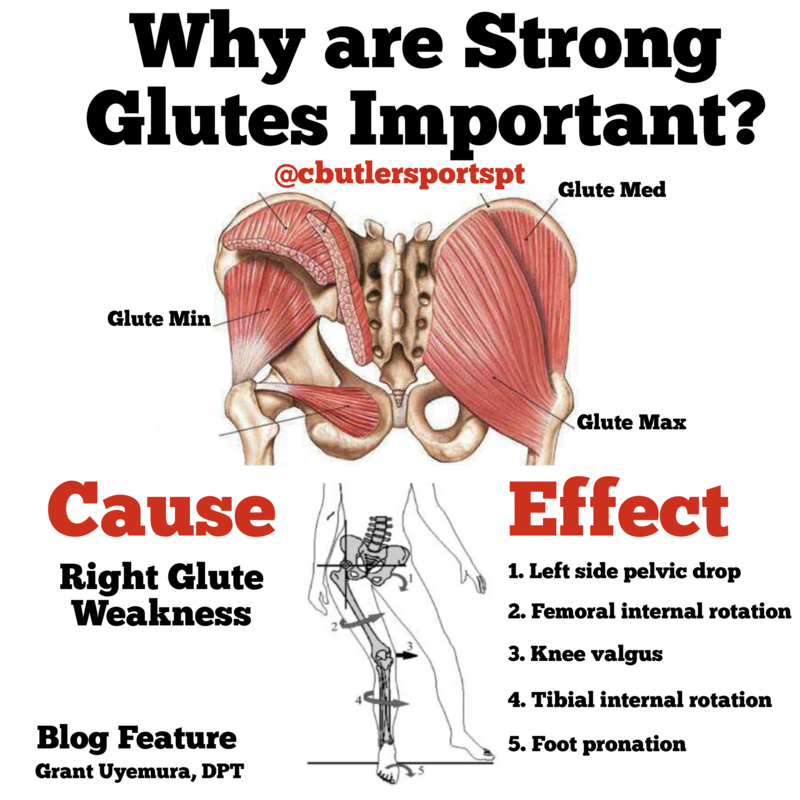 Why are strong glutes important? syndrome, and chronic ankle sprains. According to Distefano et al. they found the best glute medius exercises were side-lying hip abduction and the best glute maximus exercises was the single leg deadlifts and single leg squat. Boren et al. found that a front plank with hip extension was the best glute maximus exercise while a side plank with hip abduction was best for the glute medius. Both studies found that the best overall exercise for glute strengthening was a single leg squat. Common Therapeutic Exercises. J Orthop Sport Phys Ther. 2009;39(7):532-540. Associated With Dynamic Hip Abduction and Hip External Rotation Exercise: a Systematic Review. Int J Sports Phys Ther. 2015;10(5):573-591.